A woman whose infant was born with facial deformations has successfully sued the maker of an anti-seizure drug she was prescribed while pregnant. The case, Gurley v. Ortho-McNeil-Janssen Pharmaceutical is part of a larger mass tort action in the Philadelphia district courts against the makers of Topamax, a drug used to treat epilepsy and migraines. The master case is In re Topamax Litigation. The bellwether cases here involved a stay-at-home mother who was prescribed the drug Topamax for treatment of epilepsy. She continued to take the drug through her pregnancy, as she had been told by doctors was safe. However, what she didn’t know was that the manufacturer, Janssen Pharmeceuticals, a subsidiary of Johnson & Johnson, had long known that the drug caused serious birth defects. The plaintiffs would later argue that this was information that Janssen intentionally kept from both doctors and patients. As a result, the son of the plaintiff in this case was born with a cleft palate and lip. The child, born in the summer of 2008, is now 5. He will have to undergo at least five surgeries before he is 21 years old to repair the defects, which also resulted in nasal deformities. In her dangerous drugs lawsuit, the plaintiff accused the drugmaker of strict product liability, constructive fraud, negligence, breach of warranty, gross negligence, misrepresentation, malice and loss of consortium, among other claims. Defense lawyers had attempted to secure a summary judgment in their favor back in August. The judge granted Janssen’s request on the issues of strict liability-design defect, negligent design, gross negligence and express breach of warranty. He also granted them a summary judgment barring the collection of punitive damages. The plaintiff chose to drop her claims of constructive fraud and loss of consortium. However, she moved forward with her claim of negligent failure to warn. It was on these grounds that she won her case. The jury found that Janssen failed in its duty to adequately warn both the patient and her doctor of the risks of birth defects associated with its products when used by patients during pregnancy. 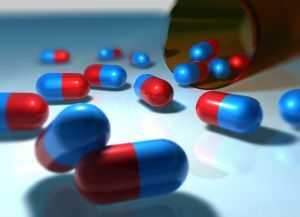 The defense filed a motion for post-trial relief in the form of a new trial on the grounds that the plaintiff lacked any testimony from the prescribing doctor, and she also didn’t have any medical expert testimony regarding the adequacy of warnings as they should be offered to health care providers. The defense team also argued that the $11 million award is punitive in nature – despite the judge’s earlier barring of punitive damage awards. The post-trial relief motion was ultimately denied. We expect the defense will appeal, though it remains to be seen. This case is one of more than 130 pending in Philadelphia. Another case out of Virginia in October resulted in a $4 million verdict awarded to the mother of a six-year-old boy who was born with similar deformities. Topamax was approved by the U.S. Food & Drug Administration back in 1996, and was one of J&J’s top sellers before it lost its patent protection back in 2009.